Take a look at the typical magazine rack these days and you'll probably notice something missing: illustration. Someone used to say you could gauge the condition of the illustration market by what was on the cover of Time magazine. If Time was using illustration then most other magazines would follow suit and thus illustration assignments in general would experience an up tick. If Time was on a photo cover jag, then the illustration market would experience a downturn. Well, I dunno what Time is doing these days, but if their cover was once some sort of illustration 'canary in a coal mine', then I'd have to say that bird is dead. These days in magazine covers its "photo or bust" - and preferably a photo of some celebrity's bust! You have to wonder what the point is. How is your publication supposed to stand out on the stands if your cover shows the same thing everybody else is showing month after month after month? What kind of marketing strategy is that? 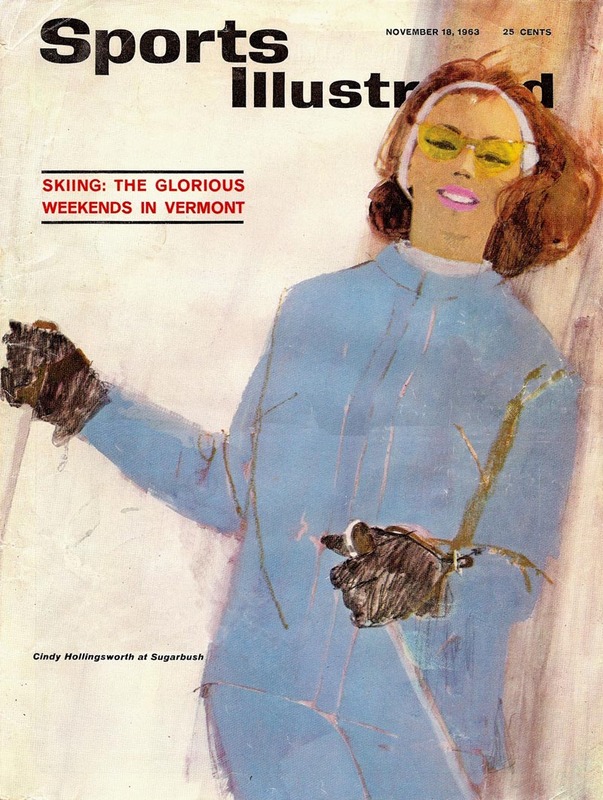 This week, let's take a look at the days when magazines actually considered illustration a viable (perhaps even superior) alternative to photography. If a few creatives with some clout in print media happen to be reading this week and wake up to what they've been missing, there might even be some Time left for the illustration business. 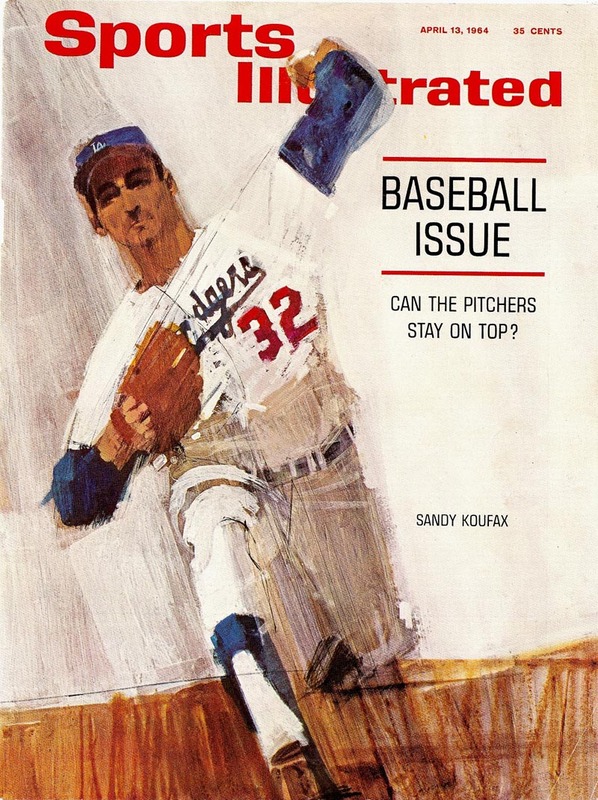 * This week's topic arose because Charlie Allen (who has already so generously shared a wealth of Bernie Fuchs images with us from his files in recent weeks) sent the three Fuchs SI covers you see here today. Many thanks, Charlie! * And speaking of Charlie, his latest CAWS is up a day early this week. If you didn't visit last week to see Charlie's amazing marine paintings, be sure to drop by Charlie Allen's Blog right now for some more gorgeous, eye-popping artwork, presented extra-large so you can better appreciate the details. I love this blog! Read it all the time. Wow....prompt use of the SI covers, Leif.....and for good reason. We seem to live in a quality-deaf culture these days....raucous, in-your-face commercials, photos, advertising, editorial content....not to mention music, films, videos, etc. etc. I get wound up! The cartoons and illustrations that I see these days have to be 'edgy'....a weird technique or portrayal of characters. No emphasis on design and draftsmanship....a negative emphasis instead of positive. Card carrying curmudgeon, here! Anyway, ain't Fuchs great? Is there a doubt? As far as I know, they're all Bernie Fuchs. Thanks. I couldn't make out the last name. Any information on Frank Mullins? This person's site has some info no Frank Mullins. Walt reed's Illustrator in America would also. 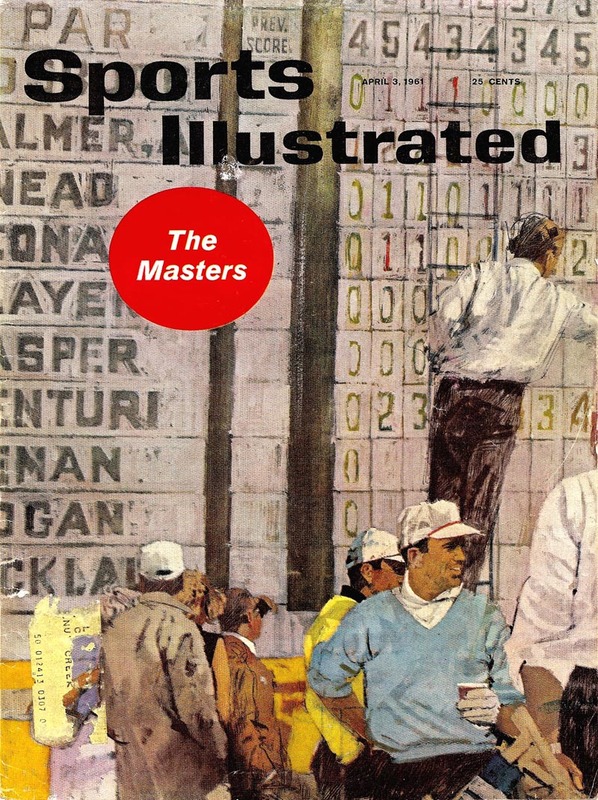 He did many very good sports illustrations. Charlie, you nailed it!.. but good taste in most adv. and illustration, isn't the only place it is missing. Glad my career years were when Fuchs and other tasteful illustrators ruled. I miss illustrations. Seems in this economy it's cheaper to have a photo than pay an artist. A lot of publications fail for lack of interest. Perhaps good illustrations might save a publication? Sorry, I'm feeling a little curmudgeonly myself. JOEL....Welcome to the curmudgeon club....and we need more, in other areas, not just illustration. But you're right on. I'm amazed by the obscene amounts paid to athletes, actors and entertainers, investment bank execs and board room money manipulators, etc., etc. Not to mention the payoffs to our 'elected representatives' from every lobby in the world. Yet, and it's always been this way, pennies are pinched for many of the creative types that make life interesting and worthwhile. Hey....enough! Must be the weather.